Jesus, John the baptist (in water, with long hair), various other men. 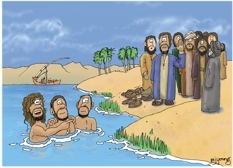 I researched boats on Google images, for the background boat in this cartoon. 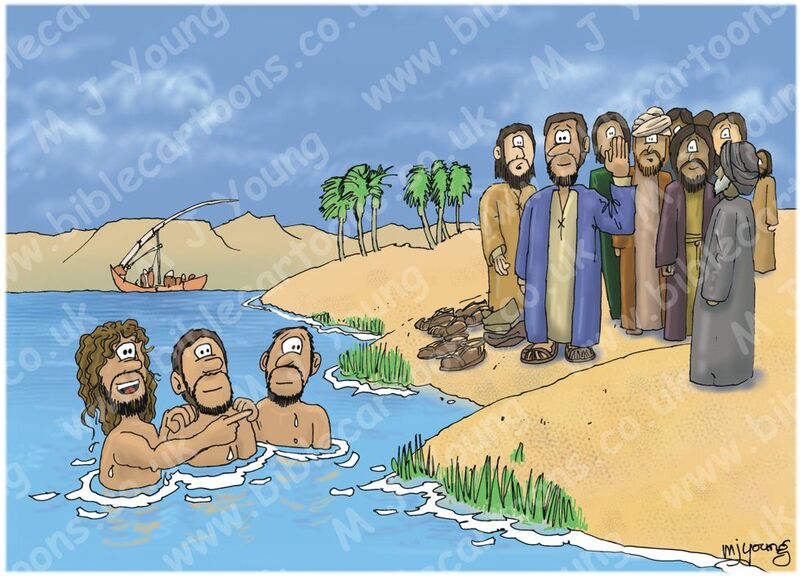 In the original version I had Jesus standing on the bank of the river on his own. later I added a crowd with him.